This story was reported by Stefanie Dazio, Nicole Fuller, Robert E. Kessler, Bridget Murphy, Michael O'Keeffe and Andrew Smith. It was written by Murphy. 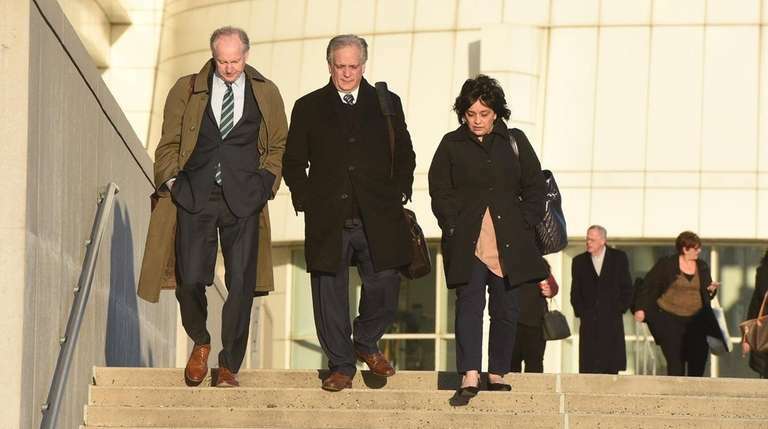 The jury deciding the fate of former Nassau County Executive Edward Mangano and his wife, Linda, sent its second note to the judge just before the third day of deliberations ended Tuesday in the Bethpage couple’s corruption retrial. The 4:39 p.m. message to U.S. District Judge Joan Azrack asked for testimony from a trio of prosecution witnesses. The jury asked to review all of Sinnreich’s testimony. The panel also requested all the testimony of William Savino, a partner in the Uniondale law firm Rivkin Radler, where Edward Mangano worked before taking office at the helm of Nassau’s government in January 2010. The panel also asked for some of the testimony of Leonard Genova, Oyster Bay’s former deputy supervisor and town attorney, who took the stand under an immunity agreement. 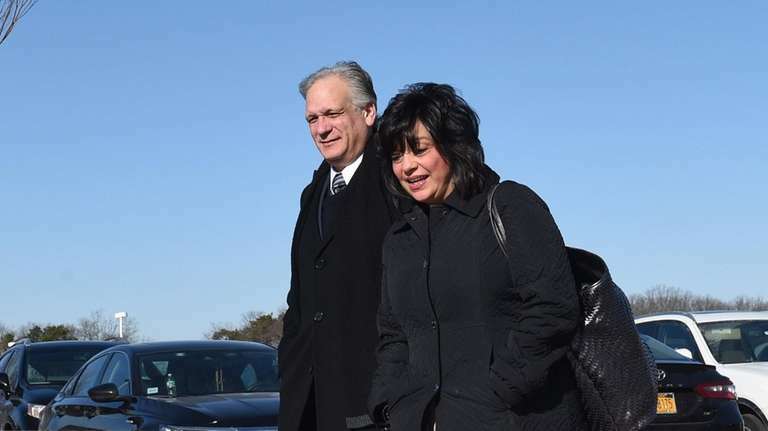 The jury’s note indicated its members want to review Genova’s account of what the prosecution says was a key meeting in April 2010 at the political headquarters of former Town of Oyster Bay Supervisor John Venditto. The U.S. Attorney’s Office has alleged Edward Mangano wielded his political influence at that gathering to sway town officials into backing a loan deal for Singh. They also claim Edward Mangano was responsible for the presence of Savino and another Rivkin Radler attorney at that meeting. Prosecutors say they were called upon to find a way to make the deal work after Sinnreich’s criticism. The government contends Singh bribed the GOP official with a “no-show” job for Linda Mangano, free meals and vacations, wood flooring for the couple’s bedroom, two luxury leather chairs and a $7,300 wristwatch for one of the Manganos’ sons. Prosecutors say the former Republican leader repaid Singh with the alleged loan scam and by steering two Nassau County contracts to him that together were worth more than $400,000. One contract was to supply bread and rolls to Nassau’s jail. The other was a no-bid deal to provide meals to relief workers at a county emergency operations center after superstorm Sandy. Tuesday’s note followed a prior communication from the jury Monday asking for the testimony of an FBI agent who had described Linda Mangano’s alleged lies about her employment with Singh. Authorities say the Manganos conspired to try to cover up Singh’s bribes after the FBI began investigating. But the defense has argued Singh gave the Manganos gifts as a longtime family friend and that Edward Mangano never reciprocated with any formal government action. The defense also accused the FBI of setting a trap for Linda Mangano in her meetings with federal authorities and attacked the FBI’s pen-and-paper note-taking method as a poor way of recording her statements in a case involving purported falsehoods. Edward Mangano, 56, is standing trial on charges that include bribery, conspiracy and extortion. Linda Mangano, 55, is on trial on charges that include lying to the FBI and obstruction of justice. Deliberations will continue Wednesday in federal court in Central Islip.